After 33 years of service, 1948-1981, I retired from the Public Service (Department of Provincial Administration/Ministry of Territorial Administration) on the 31st of December, 1981. The duties to which I was assigned throughout that period gave me the opportunity of being an eye-witness to most of the most significant events that shaped Cameroon and Fako division in the last century. In this regard, I wish to express my gratitude to my colleagues and contemporaries in the Public Service for the courtesies and collaboration I received from them in Enugu in Nigeria, and here in Cameroon. Confidential Secretary to the Senior Resident Cameroon Province, (1949-1954). 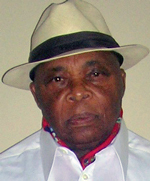 Assistant to Mr. Leonard Roberts in his dual capacity of Clerk of the House of Assembly and Clerk of the Executive Council in Buea, (1954-1958). [Note: Major Leonard Roberts, the sole surviving member of The Southern Cameroons Executive Council (1954) died in his sleep in Somerset, England, United Kingdom on 21st November 2005]. Study leave in London, (September 1958-September 1960). Assistant to the Chief Electoral Officer (Mr. Allpress) of the elections of the 30th of December, 1961 to Southern Cameroons House of Assembly. Chief of Cabinet to Mr. Emmanuel Tabe Egbe, Deputy Minister of Justice in Yaounde, February-December 1962). Senior Divisional Officer (SDO), Mamfe Division, (December 1962-September 1964). Senior Assistant Secretary, Prime Minister’s Office, Buea, (September 1964-June 1966). Secretary-General, Federal Inspectorate of Administration for West Cameroon, (July 1966-June 1971). Senior Divisional Officer (SDO), of Meme Division, (July 1971-September 1974). Adviser, Governor’s Office, Buea, September 1974-31st December 1981). My parents: Sango Daniel Ndoko Ekume of the village of Muea, and Nyango Hannah Enjema Namondo Ndoko, nee Mbua Ngale of the village of Wonyavio. At the outbreak of the First World War in 1914, Papa was about 25 years old, and a pupil at Basel Mission Primary School in Buea. He died in 1964, at the age of about 75-80 years, Mama died in 1996 at the age of about 100 years. My uncle, Sango Lucas Lyonga la Kaato of the village of Wokpwe and his wife, my aunt, Nyango Esther Joso Lyengu le Esuka, with whom I lived from 1935-1941, when I was a pupil in the Baptist Mission Primary School in Great Soppo. At the outbreak of the First World War in 1914, Mola Lyonga was a domestic staff at the Saxenhoft residence of Mr. Herbst, the German owner of Saxenhoft Plantation. Mola Lyonga died in 1982 at the age of over 100 years. The elder brother of my maternal grandmother, Mbamba Kwaongo Etonge Ikoli of the village of Likombe located at the edge of Saxenhoft Plantation. I spent most week-ends with Mbamba Kwaongo during the war years when I was a student in the Roman Catholic Mission College of Sasse, 1942-1946. Mbamba Kwaongo was about 25 years old at the time of the Bakweri- German war of 1891. He died in 1956, at the age of about 85-90 years. Thanks a million for putting your hear out there for a cultural course that pays off.